NAGASAKI - Beatrice Fihn, leader of the International Campaign to Abolish Nuclear Weapons (ICAN), which won the 2017 Nobel Peace Prize, laid flowers Saturday at the ground zero monument in Nagasaki Peace Park. 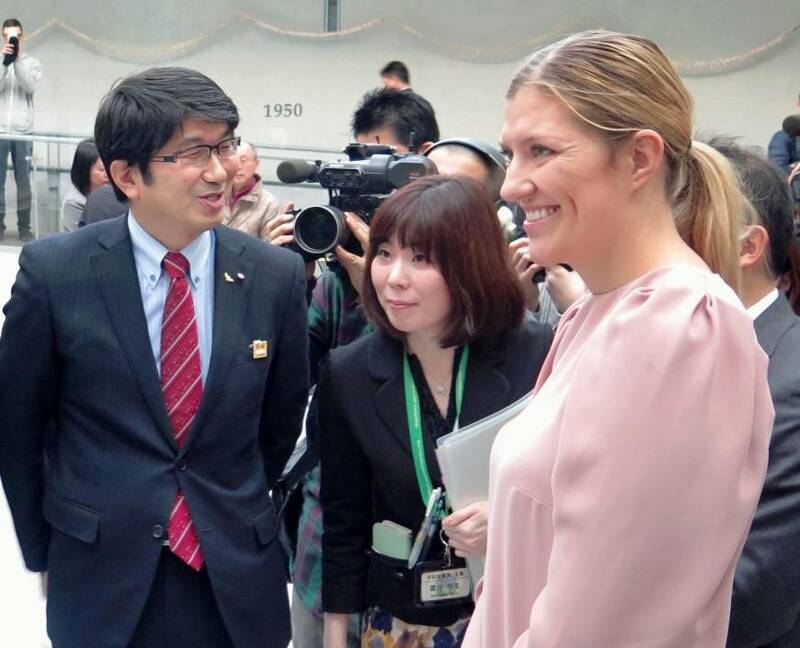 Afterward, Fihn visited the Nagasaki Atomic Bomb Museum, which she said made her realize afresh the need for ICAN to work to abolish nuclear weapons. Fihn, who arrived in the city on Friday, told reporters she was particularly moved by pictures of people hit by the blast. As long as there are nuclear weapons, a similar tragedy will happen, she added. The ICAN leader also delivered a speech at a public seminar at the museum later in the day. The host of the event was Nagasaki University’s Research Center for Nuclear Weapons Abolition. It was the ICAN executive director’s first visit to either Nagasaki or Hiroshima, which were both destroyed by atomic bombs toward the end of World War II. She is expected to visit Hiroshima shortly. The United States dropped the world’s first atomic bomb on Hiroshima on Aug. 6, 1945, and another on Nagasaki three days later. At an opening event for an exhibition that started Friday at the Atomic Bomb Museum to mark ICAN’s winning of the Nobel Prize, Fihn said that the international coalition of nongovernmental organizations aims to spread throughout the world the view that nuclear weapons are unacceptable. She called on people to work together to ensure that there are no more victims of nuclear weapons. ICAN made significant contributions to the adoption last July of a landmark nuclear weapons ban treaty at the United Nations. “I wish for all states, in particular Japan, to join the treaty on the prohibition of nuclear weapons. 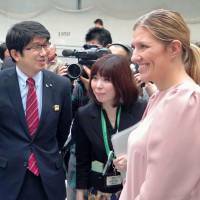 No more hibakusha,” Fihn wrote on a message board at the exhibition, referring to survivors of the 1945 nuclear attacks.